Assessors are able to view Assessment Instruments that are associated with departments with which the Assessor has membership. Viewing these instruments provides you with a sense of the assessing tool prior to beginning an assessment, and enables you to download the instrument as a PDF document to save on your local hard drive. 4. 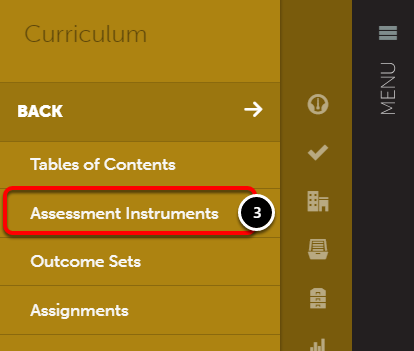 Locate the Assessment Instrument, and click on its row to reveal its options. Select Edit. 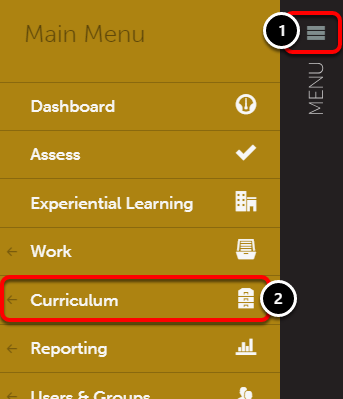 On the Assessment Instrument View screen, you are able to view the description for each criterion's performance levels. 5. Click on the Information Icon associated the the criterion to view its description. 6. Click the Save to PDF button to save the Instrument as a PDF file.